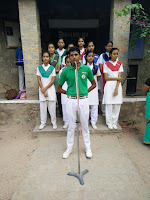 STUDENT: Chandresh Choudhary/ XII/ GH was selected as the Student this Week for his creative writing skills. He writes poems in Hindi. 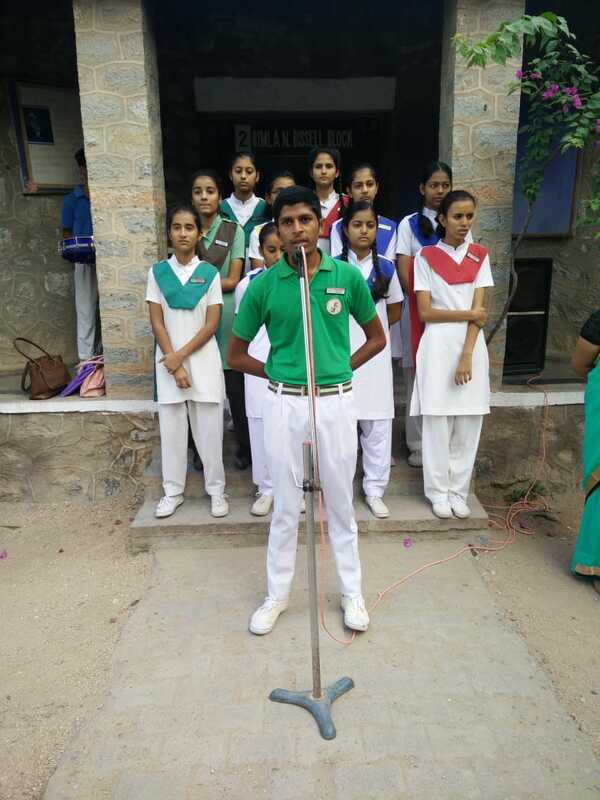 He gave the message to the students to be confident and not to waste time in useless activities. He encouraged the students to discover their hidden writing abilities and write short stories and poems to develop their confidence in English Vocabulary. He loves to write poems which has now become his passion. Ms. Rajeshwari Rathore was selected as the Educator this Week. 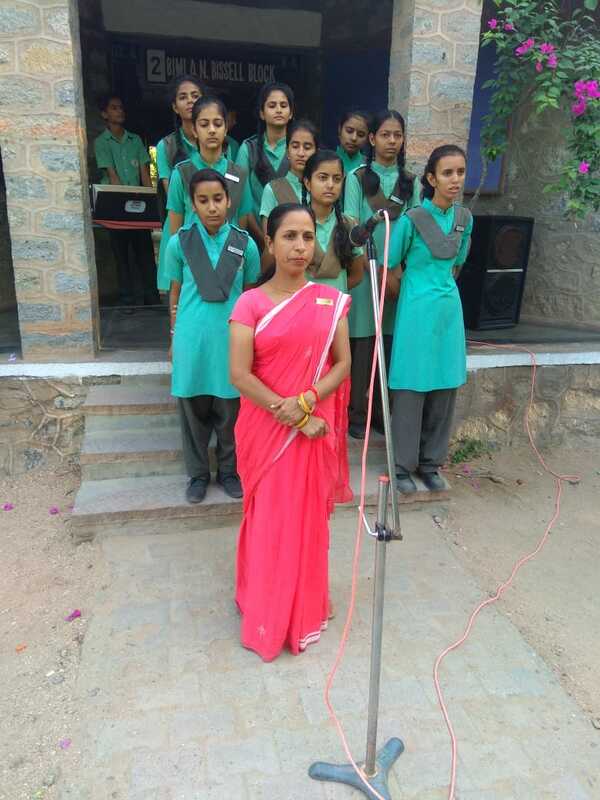 She shared her views on how to overcome examination stress.She guided students to have a balanced diet and shared some important tips related to examination. 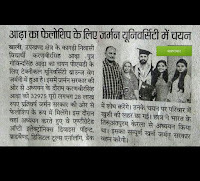 It is a proud moment to announce that Karanveer Singh Adha/ X / 2010-11 student of The Fabindia School, Bali graduated from Thiruvananthapuram, Kerala. 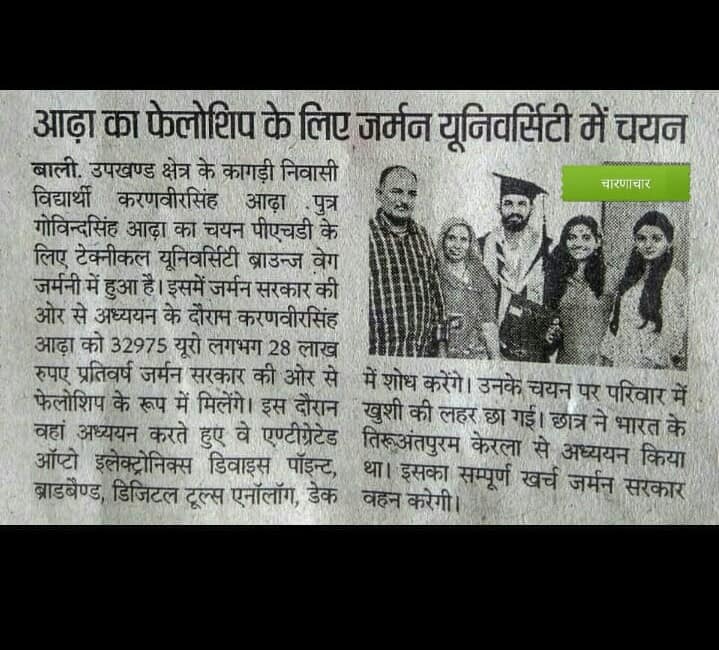 He has been awarded a Special Scholarship by the German Government for doing PHD in Integrated Optoelectronics and Electronic device for broadband digital to analog conversion at Braunschweig University of Technology in Germany. The Scolarship Fund is about 32975 Euro annually that is about 28 Lakh rupees. While studying his PHD he will also do research on integrated Optoelectronics device point, broadband and digital tools analog. ED: Which is your favorite spot in the school? SC: There are many beautiful spots in school but mine was the neem tree near the basket ball court. 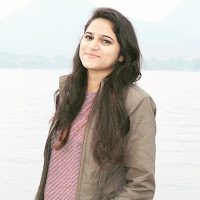 SC: I am pursuing my degree fro Pacific University, Udaipur. SC: This school has helped me to grow as a better person.The opportunities that this school has provided has made me a confident person. SC: I am doing B.Sc in Interior Designing. SC: All the memories I had in the school campus are very precious and I would cherish them all my life. But one of the best memory was our batch's Jaisalmer trip. SC: I would just like to advice them that enjoy your school life and make memories as much as you can, so that when you meet your school friends you have something very precious to share and look back. And wish all the best for their future. 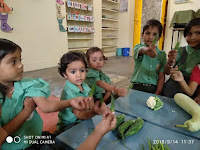 Monday, 17th September: School Timings had been extended by one and half hour to make the students revise for the commencing Half Yearly Examination next week. Revision was taken in all the classes and in all subjects for the commencing Half Yearly Examination next week. Students were seen flocked around teachers to get their problems solved. 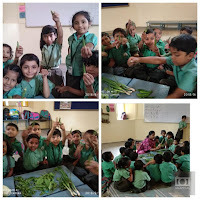 Thursday, 20th September: A Vegetable Market was organised for the Pre-Primary Section. 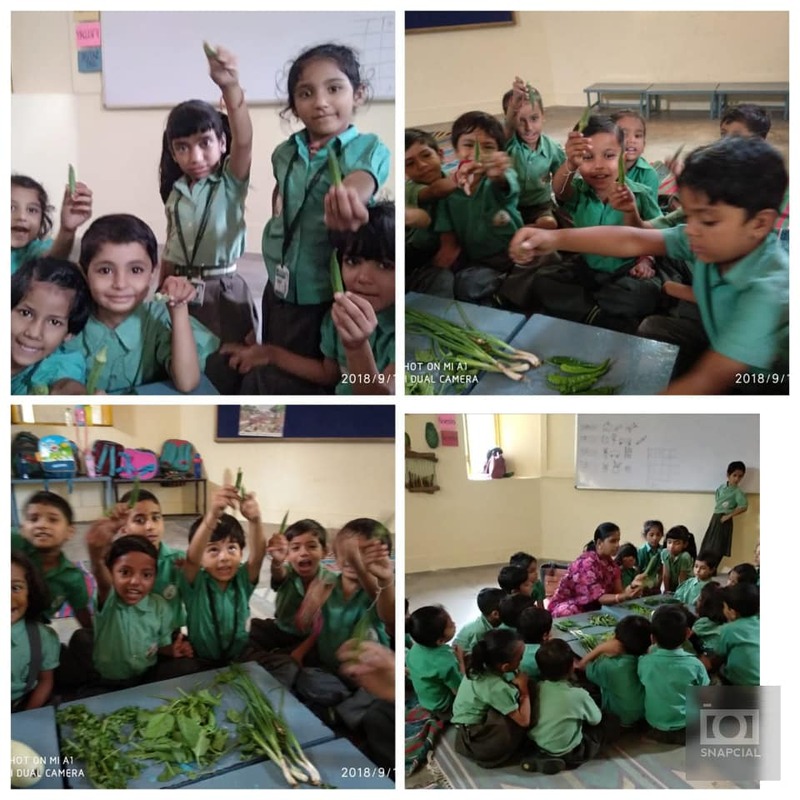 The tiny tots of Class Nursery to I enjoyed learning the names of fresh vegetables.They also learnt that how important it is to eat green vegetables everyday.